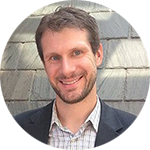 The latest research paper by RCM Science, led by Dr. Sean Hutchins, has been published in the June issue of the journal Music Perception. Entitled “Early Childhood Music Education and Associated Improvements in Music and Language Abilities,” the article presents the findings from the first year of our ongoing study of children enrolled in Smart Start™, our acclaimed early childhood music education curriculum for children up to six years old. Below, Dr. Hutchins provides a detailed overview of his approach, the major findings, and the conclusions he’s drawn about the benefits of early childhood music education. There has been a lot of recent work on the connection between music and cognitive abilities, and while some of it has been over-hyped (e.g. “The Mozart Effect”), the brunt of the work shows fairly strong connections between music study and cognitive abilities. Adult musicians tend to outperform adult non-musicians in measurements of cognitive abilities. Neurological measurements, such as MRI [magnetic resonance imaging] or EEG [electroencephalography], confirm these findings. One area of cognition that shows particularly strong connections to music is language. Not only is music ability connected with language skills like vocabulary, grammar, and reading, but training studies have shown that taking music lessons tends to increase language abilities in children. While the evidence for these effects is robust, two aspects of this effect are still less clear. First, most of these studies have looked at children in primary school. However, music training often begins earlier, as soon as three years old, and starting early has been shown to be important to both music and language abilities. Second, most of these studies have looked at samples of children over shorter timeframes, often weeks or months, whereas both musical training and learning language happens over the course of years. Luckily, The Royal Conservatory turns out to be in an excellent position to address both of these issues. Our Smart Start program consists of group-based music lessons for children up to age six, and many of our students return to the program year after year, making it the ideal case to look for real-world effects of continuing early-childhood music education. Furthermore, RCM Science has been involved in developing and adapting the curriculum for this program to emphasize the use of cognitive abilities. Since 2014, we have revamped the curriculum and provided advanced training for all of our Smart Start teachers, in order to make the courses as effective as possible. In this ongoing longitudinal study, we recruit families enrolled in our Smart Start program and track the children’s cognitive and musical development across time as they progress through our Smart Start program. We measure abilities such as vocabulary size, letter-naming abilities, and singing and tapping abilities at the beginning of the year, then at the end of the year (which actually encompasses about seven months, from late September to early May). By looking at their improvement across this timeframe, and then benchmarking this against normal developmental change over the same time – since children get better at everything as they age anyway – we can look at the improvement associated with taking music lessons. This isn’t a true experimental design, as that would require a control group not taking music lessons, which poses some ethical issues when dealing with studies that can last years. However, the findings do offer considerable insight into the time period at which music-language training associations can be observed. When we analyzed the results from these tests, we found that children in our Smart Start program improved significantly in several of our measures. Specifically, we found improvements in vocabulary size, letter and number naming abilities, and in singing ability. These improvements were shown not to be attributable to aging. Furthermore, we showed a correlation between singing ability and language abilities. Overall, this study provides further evidence for the relationship between music and language abilities, and extends this to early childhood in a naturalistic setting. Since this is a longitudinal study, we continue to work on this project: currently we are analyzing data from the second year of the study and collecting data from children in the third year. 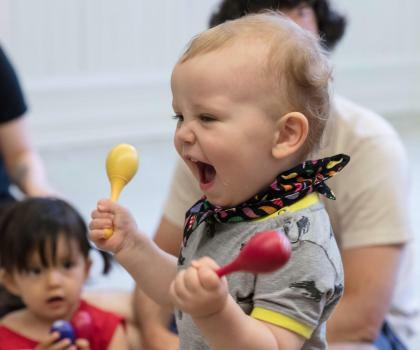 We are hopeful that this project can be used to illuminate the powerful role that early childhood music education can play in cognitive development. Musical interventions have been used in cases of disadvantaged populations, dyslexia, and hearing impairment, and we are hopeful that this can provide further support for its importance in all walks of life. We’re also continually updating our curriculum, to use our and others’ findings to make Smart Start as effective as possible. Interested in learning more about this study? You can read the whole paper online. If you would like to participate in one of our studies, please contact [email protected]. To sign up for Smart Start classes, please visit our website or call 416.408.2825.